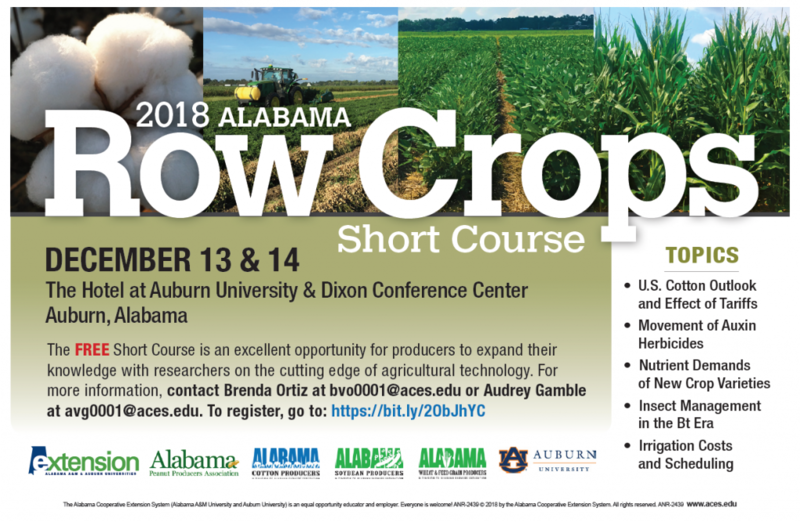 A short course on row crop agriculture will be taught by Alabama Extension folk on December 13 and 14 in Auburn AL. You can get CEUs and Pesticide credits for attending. Hotel rooms must be reserved by November 30. You can read more at https://news.aces.edu/blog/2018/11/12/alabama-row-crops-short-course-set-for-dec-13-14/, where you will also find a link to registration. Posted in Crops, Events. Bookmark the permalink.